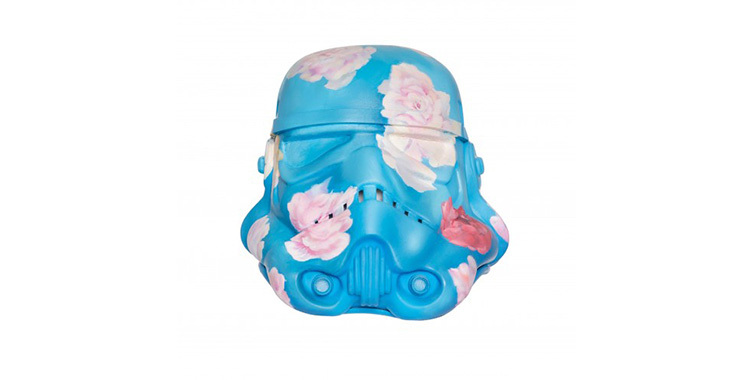 A new exhibition, Art Wars, has commissioned some of today’s most high-profile artists to redesign the iconic Stormtrooper helmet. Working with replicas cast from the original film moulds, artists including Damien Hirst, the Chapman Brothers and Antony Micallef have re-imagined the helmets with fantastically diverse results. 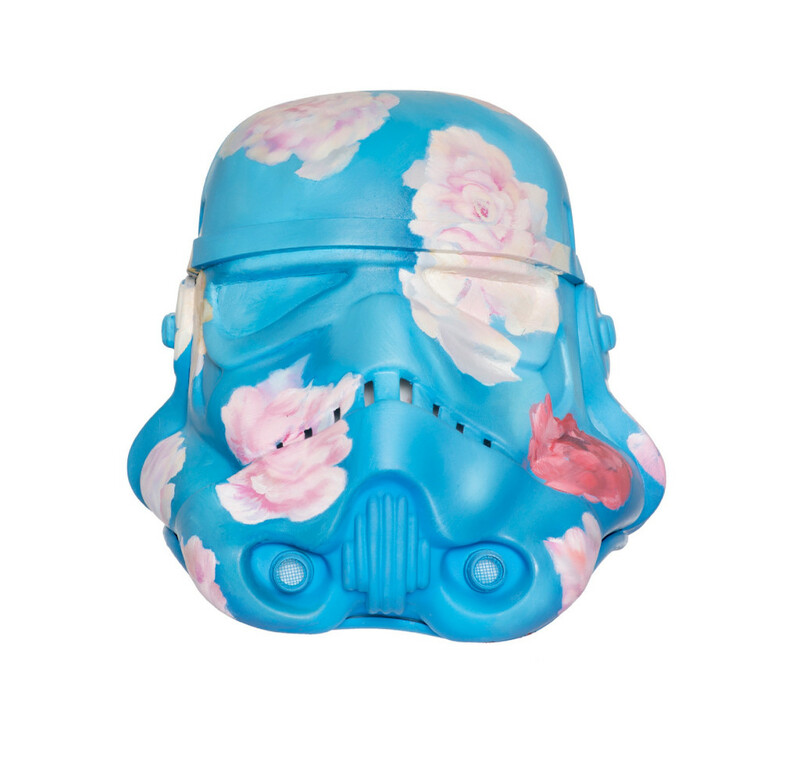 Launched at the inaugural STRARTA Art Fair at the Saatchi Gallery, the exhibition is a collaboration between Art Below founder Ben Moore, the original Star Wars Stormtrooper creator Andrew Ainsworth, and charity Missing People. 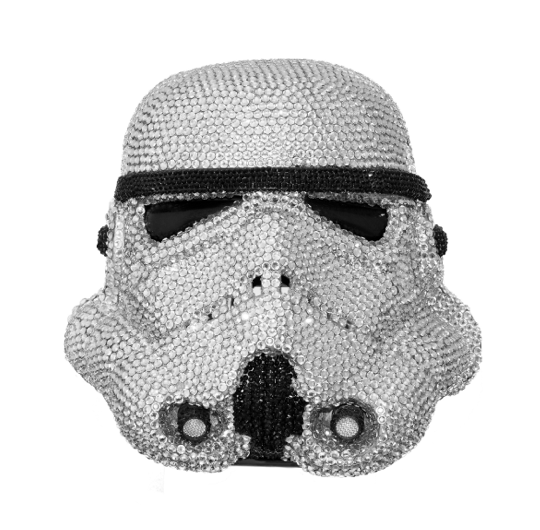 Acrylic capped ABS Stormtrooper head encrusted with 6,000 Swarovski Xilion Rose Crystals. Signed by Ben Moore and Andrew Ainsworth. Image: Bran Symondson (2010). Social enterprise Art Below uses billboard space in underground stations to display artworks in London and overseas. The Art Wars stormtrooper helmets are currently taking over a platform at Regents Park tube station before the creations are auctioned off. A free ‘eKo Art ‘ application created by artist Erin Ko enables you to explore the helmets in 3D with your phone.